My art teacher called the space around the object being painted its countershape. 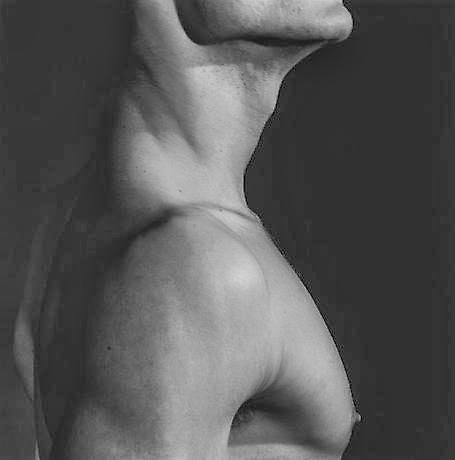 This is a term that seems to have fallen out of favour, but the countershape or negative space around an object can be as beautiful as the object itself, as in the sinuous darkness around the bodies or flowers in a Robert Mapplethorpe photograph. Having spent some time in Japan lately, it is easy to see how the use of space and emptiness is ingrained in the Japanese aesthetic. Often objects within a composition are there to draw attention to emptiness. 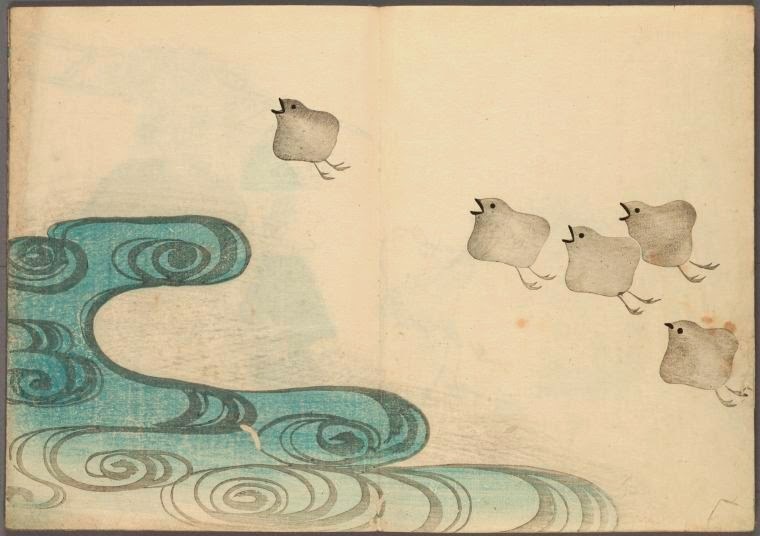 Even this randomly chosen picture from The Korin Album, 1802 by Nakamura Hôchû displays an attunement to negative space. Buddhism invites people to experience emptiness as something welcome and comforting. Things are a little different in the West. But I am drawn to writers who imply without explicitly saying. It’s as if they are pointing to the emptiness, and showing just how populated it really is. Leaving room for the reader’s imagination to infer meaning, and allows writing to contain something of the consciousness of the reader. It also opens the door to ambiguity. Sometimes this is done with silence. When in Shakespeare’s Othello, the Machiavellian villain Iago is finally confronted he says Demand me nothing. What you know, you know. From this time forth I never will speak word. This infuriating silence has given us a legacy of centuries of wondering about Iago’s ‘motiveless malignity’ as Coleridge called it. If Iago had explained why he hated Othello and destroyed his life, he would be a little less memorable and perplexing. I recently met an excellent poet called Robin Houghton. Her new pamphlet, The Great Vowel Shift frequently manages to imply a great deal in many of her poems without concretely expressing it. This is best exemplified in her poem Ellipsis which talks about playing scrabble with a woman whose memory is failing. The poem is about the gaps where everything important is deftly implied. While in The Last she writes about something that ‘My mother wouldn’t explain’. I just love the simple and yet completely successful way this poem addresses a change in a woman’s life without ever being explicit about what in childhood was unmentionable. Just lovely. Find Robin’s excellent blog here. I couldn’t ask. And still they would come, insistent. in some way, worn something red, if I had known. Poem (C) Robin Houghton 2014. This entry was posted in Poetry and tagged ambiguity, Iago, Nakamura Hôchû Robin Houghton, negative space, Othello, Robert Mapplethorpe, Shakespeare, The Korin Album, The Last. Bookmark the permalink.